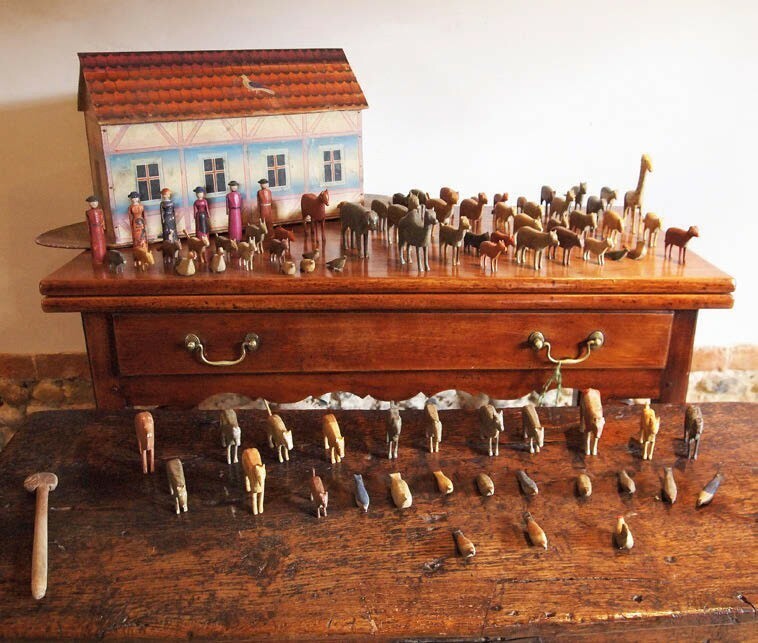 At the second outing of the Norfolk and Suffolk Antique Dealers Association (NASADA) antiques fair, local dealer Philip Crosthwaite, who launched the group last year, will be bringing this Victorian Noah’s Ark toy, below. With 90 original carved wooden animals, it is priced at £895. Noah's Ark toy c.1890 priced at £895 from dealer Philip Crosthwaite. The Ark has been in the same farming family in Norwich since it was new. The toy was produced c.1890 by AJ Galpin, a toy shop in Norwich which moved to rather grander premises in the town’s Royal Arcade in 1910. Thirty exhibitors will feature at the fair on Sunday, April 14, at the Barnham Broom Hotel near Norwich including two new members of the association: Julie Crosthwaite with silver and perfume bottles and Mick Lyons with decorative pieces.